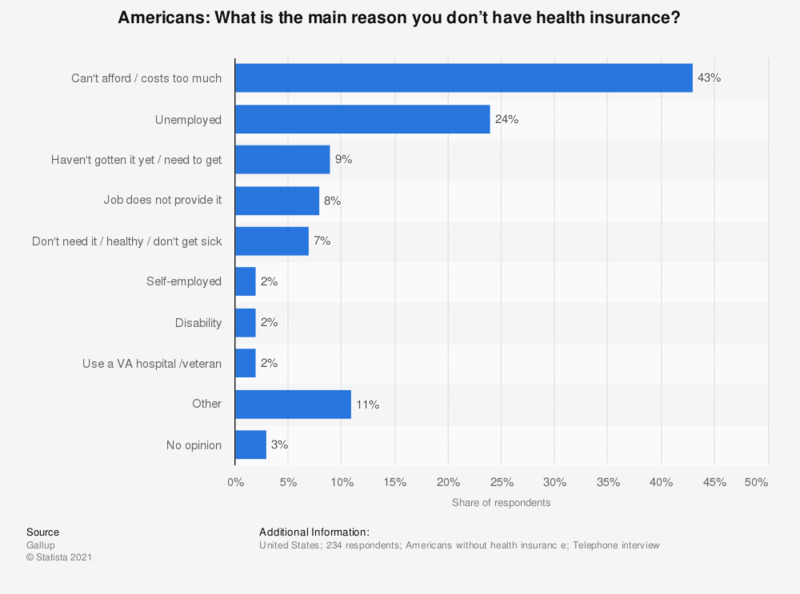 This statistic shows the results of a survey among Americans who do not have health insurance. The survey was conducted in 2013, asking them why they did not have health insurance. 43 percent of respondents said they could not afford health insurance or that it was too expensive for them. The source posed the question as follows: "What would you say is the main reason you don’t have health insurance? Any other reasons?"